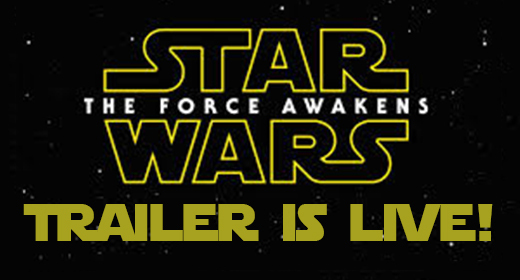 So, officially, this is Teaser Trailer #2 for Star Wars: The Force Awakens, but this bad boy doesn’t do much teasing. This looks WAAAAAAAAY better than I think anyone in the fandom could have possibly hoped for. And yes, Chewie, you are home. Long live Star Wars! What did you think of the trailer? Let us know in the comments below, over on Facebook, and Twitter! I’m a big, long time Star Wars fan and I’m pumped up for this movie. I’m trying not to read to much about it for any kind of spoilers but this movie looks like it could be the best out of episodes 1-3. Rebekah Folsom liked this on Facebook. I liked the first teaser better, probably because of the 10 year build up. But, this one is nothing short of amazing. That first shot of the wrecked star destroyer?! The redesigned stormtroopers. The Chrometrooper?! The tri-hilt lightsaber. JJ may have stumbled upon the perfect mix of homage and trailblazing. Also, HOW DOES BB8 WORK!?!! Tim Murphy liked this on Facebook. Legend of Dragoon coming to PSN May 1st.